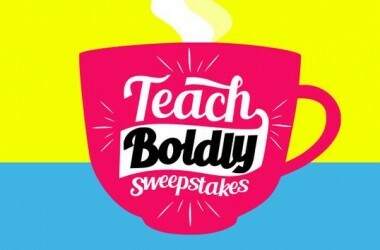 Back in September we shared information about the Teach Boldly Sweepstakes, a chance to enter daily to win a one-month supply of Starbuck’s coffee for you and your colleagues – OR, the grand prize, a teched-out makeover for the teachers’ lounge at your school. You can enter here and also explore the many resources at PBS Teachers’ Lounge, your source for teaching inspiration. You’ll find still more resources from PBS Teachers’ Lounge articles at PBS NewsHour.